Milestone Realty LLC in downtown Highwood is a full-service residential real estate firm. The firm was founded in 2004 by Shelley Lurie, who was the vice president of marketing with Red Seal Homes of Northbrook. Lurie has lived on the North Shore for over 40 years. She received her real estate license in 1978, at which time she started at Quinlan & Tyson Realty in Highland Park. During her years at Quinlan & Tyson, the company was first acquired by Merrill Lynch and then by Prudential Realty. Lurie’s range of real estate experience covers communities such as Fort Sheridan, Highland Park, Highwood, Glencoe, Wilmette, Buffalo Grove, Deerfield, Lake Forest, Northbrook and Glenview. Lurie has extensive knowledge of the redevelopment of the Town of Fort Sheridan, as Red Seal Homes was one of the main developers in charge of turning the former government property into a showplace of residential living. “As Red Seal's Marketing VP, I oversaw almost all of the original sales and I was one of the new community’s first residents. Fort Sheridan has become a main focus in my life and my career." Establishing the Milestone Realty office in Highwood allows Milestone staff to effectively cover the entire North Shore. 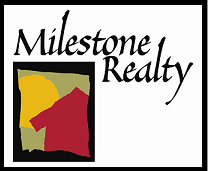 Milestone Realtors have vast experience throughout the North Shore and Chicago. Shari Weil has been an extremely valuable member of the Milestone team. She’s a perfect fit because she is a down-to-earth, fun, caring person who is an experienced North Shore real estate professional. Being a Fort Sheridan resident, she complements our efforts to promote the excellence of the community. Besides maintaining ongoing relationships with loyal clients and new prospects,her grown daughters bring their friends to Shari to find their first homes creating a new generation of Shari-fans. Sebastian Dragan-Dima uses today's technology and stays informed of the new trends that make Real Estate buying and selling easier for his clients. Sebastian is fluent in English and Romanian and can also converse in French, Italian and Spanish. Sebastian resides in Deerfield and has a wonderful daughter. Karen Chien Rooney joined Milestone Realty this year and has already shown her ability to provide excellent service at the Milestone level. Her patience, compliance and understanding of clients' needs stem from her many years in the corporate/human relations field. Karen is a wonderful wife and mom of great 3 kids, all raised in Fort Sheridan.